Love me some Vistaprint! No cupcake left behind - lol!! Kids are still allowed to bring cupcakes at my school, but of course only if one is for their pleasantly plump teacher..ha! Awe I love all you do to make their birthdays special!! 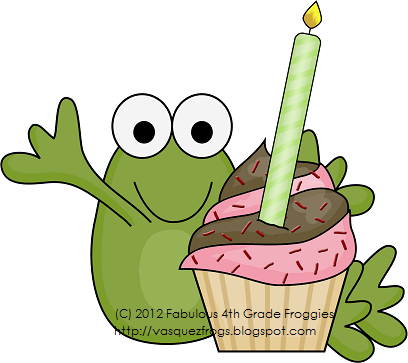 And I definitely enjoy birthday treats as well so I encourage students to bring them in!! 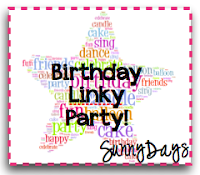 I love your birthday postcards that you made! I am going to have to order them with my next batch of Vista Print goodies!!! Thanks Molly! Gotta love Vista Print! Hi, Lorraine! I am getting your newsletter, and loving it!! 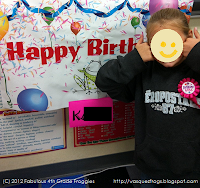 I read this posting on Birthdays, and decided that next year I will have to make the poster to use in my classroom. I am curious if you do anything for those students who have summer birthdays or even birthdays over breaks since you give pencils and read the book for those birthdays that occur during the year. That is my dilemma. I don't want those kids to feel excluded. I celebrate birthdays with a T-shirt on a chair. I made it (as well as an extra for those times when there are two birthdays on the same day!) on Vistaprint. 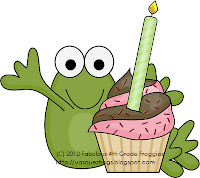 It has a cute little picture and it says, "It's my birthday!" I have it on their chair as they walk in first thing in the morning.